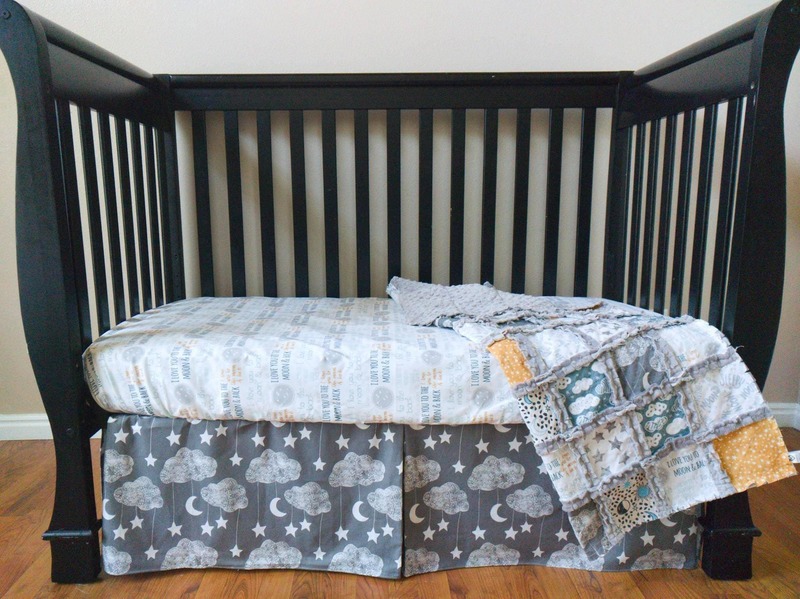 One of my favorite quotes about babies has been turned into a crib set. 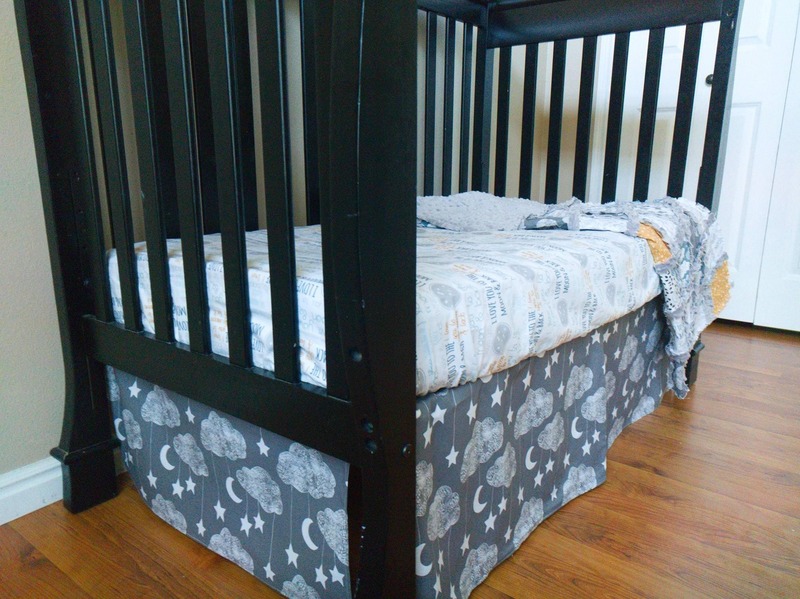 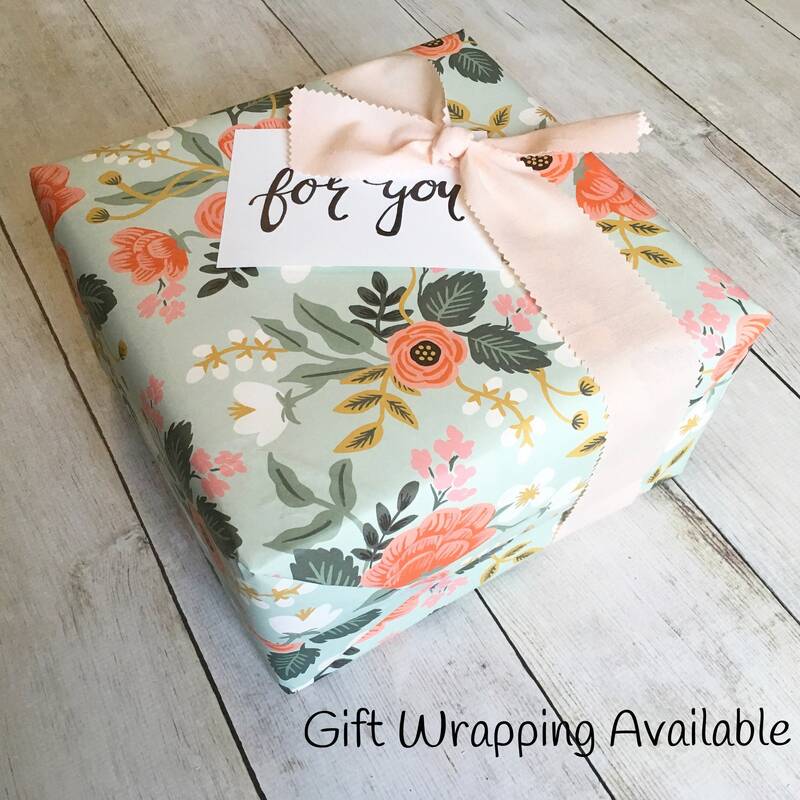 This set features the crib sheet using I Love You to the Moon and Back fabric. 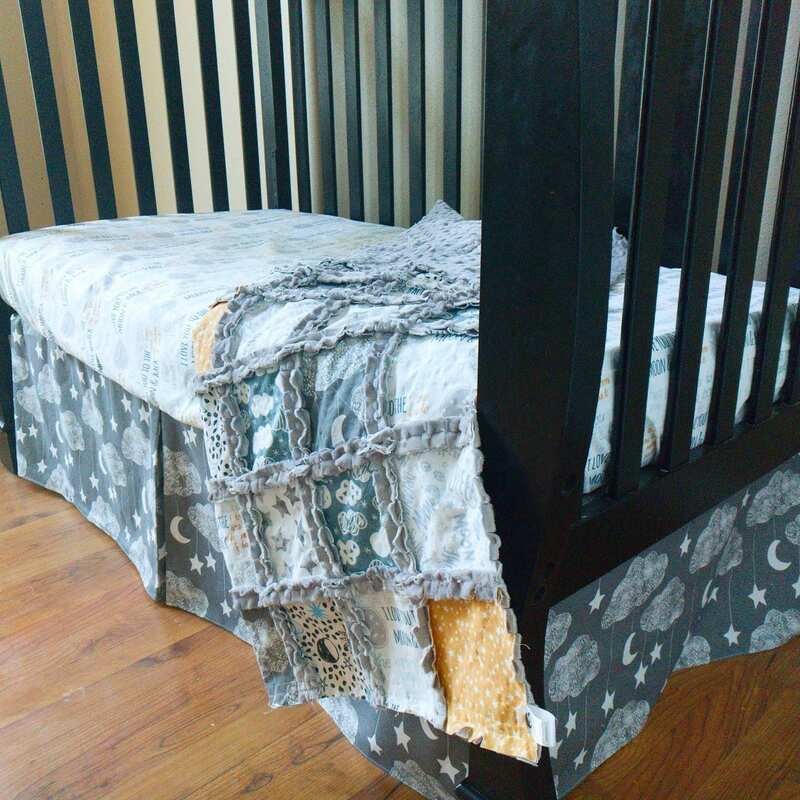 The pleated skirt is done using the gray stars, moon, and cloud print. 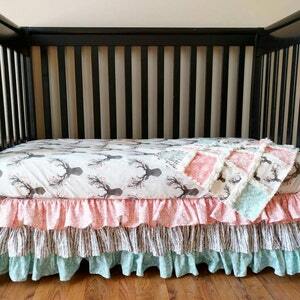 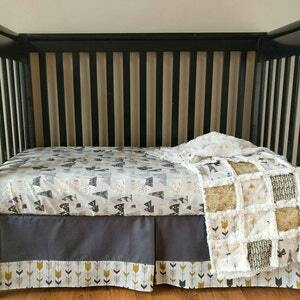 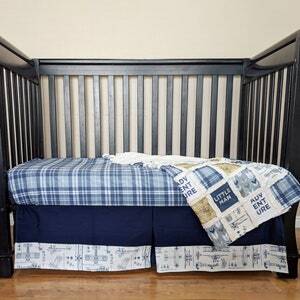 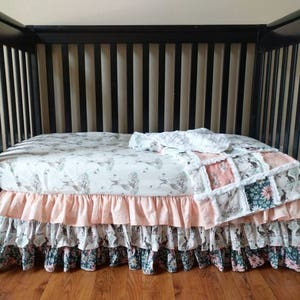 It also includes a crib quilt with these fabrics plus more. 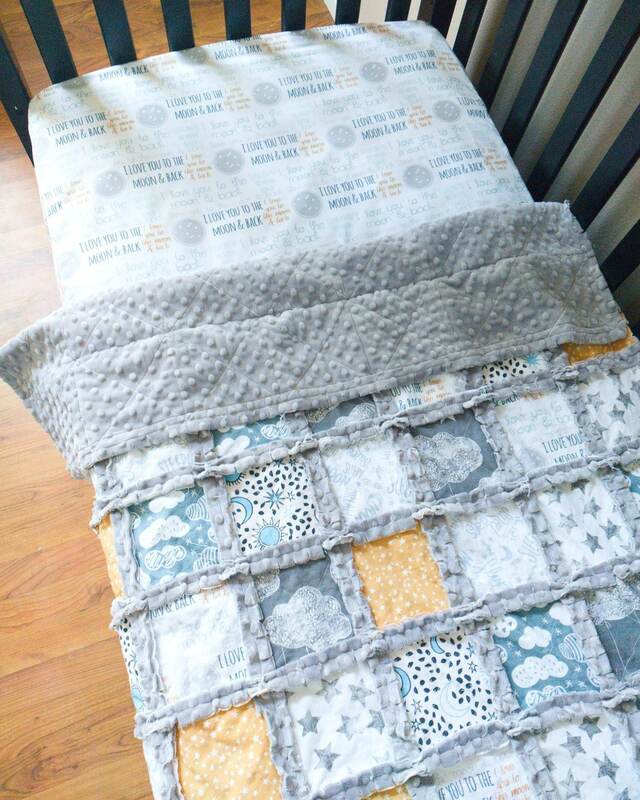 The back of this quilt will be done in gray minky, which is so perfect for snuggling!